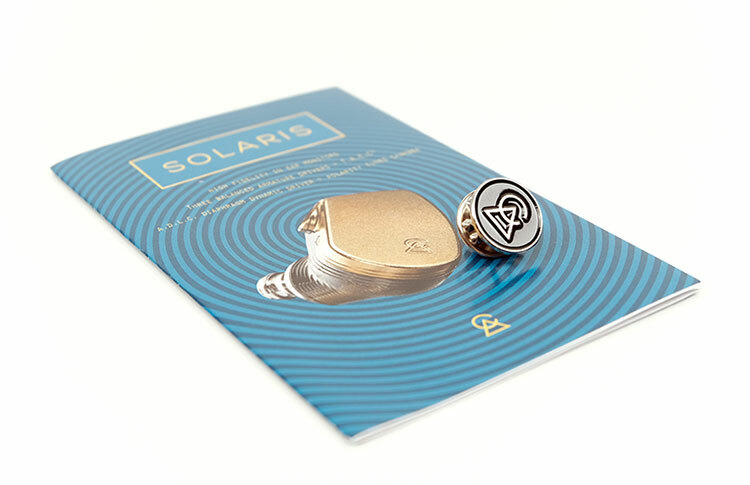 Disclaimer: The Campfire Audio Solaris sent to us is a sample in exchange for our honest opinion. 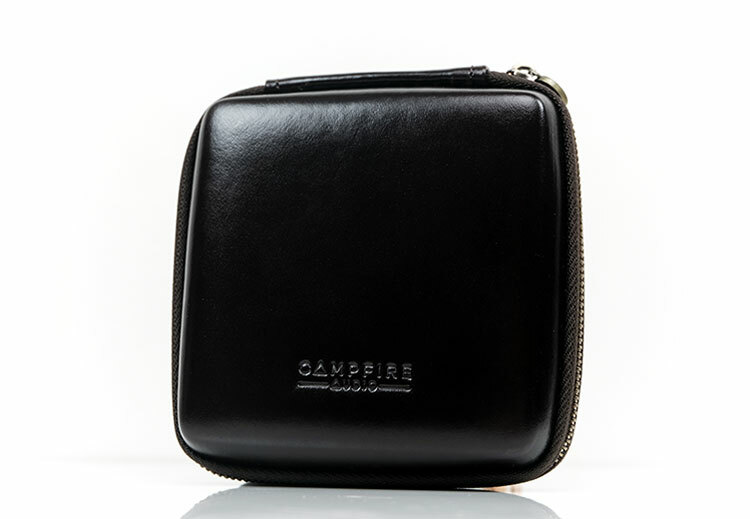 We thank the team at Campfire Audio for giving us this opportunity. 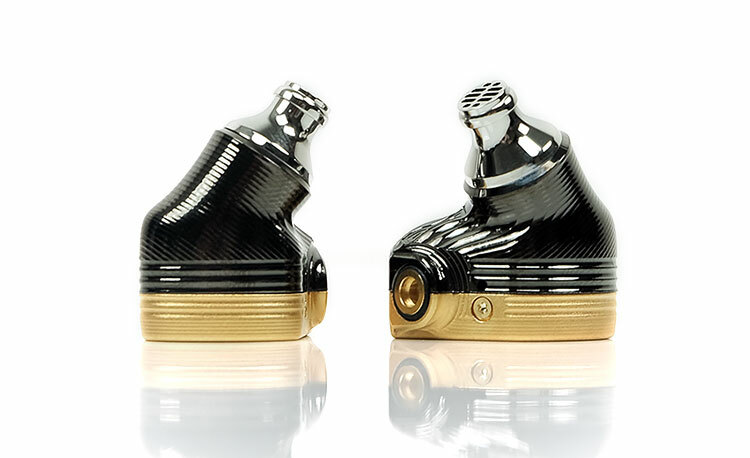 To read more about Campfire Audio products we reviewed on Headfonics click here. At around 7pm on day 2 of the AV Show in Hong Kong last August Ken Ball of Campfire Audio hunted in his bag for his next “big project”. Something new, something special but alas something still in his hotel room. It would have to wait to Day 3. A day in which yours truly got the mandatory travel-induced head cold and Ken got sucked into a load of interviews. Thus, an opportunity was missed to get a first listen to the prototype of their new hybrid $1499 flagship monitor, the Solaris. Come October 2018 at the Japan Portafest, CA officially launched the Solaris and you had to be living under an audiophile rock not to have seen some sort of coverage online. We did our initial impressions not long after and it was pretty positive at that early stage. However, for a full review, we needed to wait. Around 100 hours to be exact because almost everyone got the shout that things change or improve over time. So, was it worth the wait? 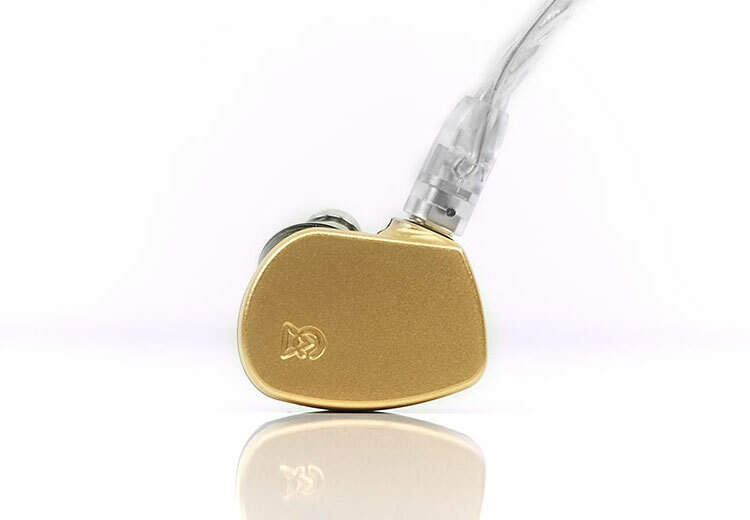 When we covered the Dorado I spoke about the two schools of thought in the Campfire Audio ranks. You had the likes of Ken, an avowed dynamic driver lover with the Vega and Atlas to show for it. Then there was the team that brought you the Andromeda, the BA connoisseurs if you like. Not that both groups have diametrically opposing viewpoints. If they did, we would not have seen the hybrid Dorado which to my ears was a little more to the musical bassy side of the spectrum. Well, the hybrid quad-driver Solaris is once again a merging of the two philosophies only this time the ambition is a little higher and the experience a little longer. CA are pitching this latest hybrid as not only their best in class materials and drivers and a step up on the now discontinued Dorado but also a step up in tuning. This is a tuning that they believe is far more lifelike and accurate than the Dorado. A more balanced tuning that will appeal to a wider range of audiophiles. CA are pushing the Solaris as pretty much the kitchen sink in terms of everything they have done up to this point. That means features such as T.A.E.C. or their tubeless acoustic expansion chamber technology is there for their high-frequency dual custom BA drivers. The Atlas 10mm A.D.L.C. dynamic driver is also there including its Polarity Tuned Chamber specifically for dynamic driver tuning. I do have to note right away though that the tuning of the driver is totally different to the Atlas. The Solaris also uses a single rear-ported midrange BA driver to complete the picture. The configuration of the Solaris drivers is pretty much what you expect for a quad hybrid. The dynamic 10mm cover the lows to the mids, the single rear-ported BA for the mids, and the dual custom BA drivers, combined with T.A.E.C. for the highs. There is actually only a single crossover inside the Solaris at 4k. I was expecting one additional crossover lower-down for the midrange driver but apparently not. Both the mids BA driver and the dynamic driver are “roaming free” up to 4k. The Solaris is CA’s biggest housing to date and certainly much bigger than the Atlas and Andromeda. It positively dwarfs the diminutive triple-driver hybrid Dorado though the Dorado does have a smaller dynamic driver inside. The form factor and design of the Solaris, however, is beautiful looking and perhaps Campfire Audio’s best physical build to date. It is not quite as radical as the channel and fit-agnostic Comet or Atlas but it looks more refined and sophisticated in its contouring. By refined I mean smooth lines with virtually no edging making it immediately a more comfortable looking proposition. 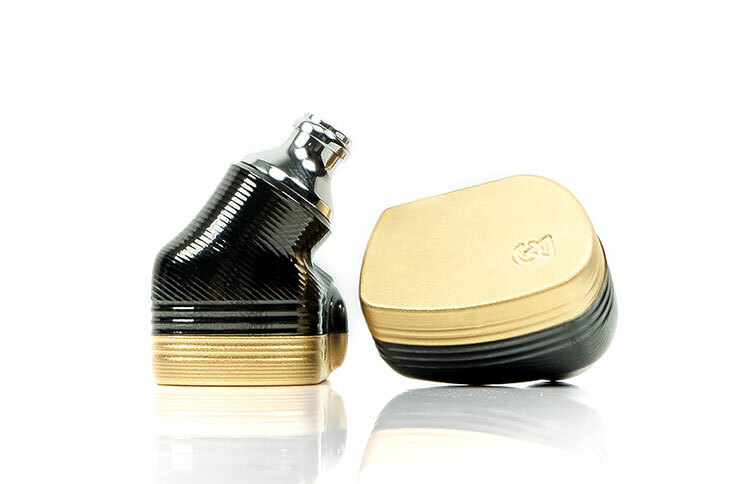 The Solaris is a 3-piece shell design with a 24K gold plated faceplate, a striking PVD coated metal alloy body and a stainless-steel nozzle. Both the main body and side of the faceplate have this very striking ribbed finish that delivers a bit of visual pop to the aesthetic of the Solaris build. The only breaks in that contoured line finish are the rather delightful channel markings which are spelled out in full left and right rather than L and R and a small screw on the other side. The gold faceplate is almost a perfect visual match for the gold-plated Sony 1Z DAP. Asia will go nuts for this finish I assure you. The nozzle also looks like the one they use on the Comet and Atlas with that chrome finish including the front grill. It is quite short with the majority of the extension coming from the PVD main shell. The extension is quite wide-bodied but it seems design to sit a little further out where your ear canal is naturally wider so it will enhance the seal and secure the fitting. The Solaris continues to use CA’s custom Beryllium Copper MMCX connectors though the positioning and integration on the shell are quite different to the Dorado or Vega designs. Perhaps slightly closer to the Atlas deep-set connector designs. No longer will you find the older rear stem build for the MMCX connectors on the Solaris. Instead, the connection is built right into the shell much like the Atlas though close to the top for an over-the-ear fitting and with just a slight rise at the top. This looks far sturdier and discreet than the older gen builds. Having used these connectors quite extensively with a wide range of cables I can testify these are pretty durable connectors. I have not noticed any degradation or loss of signal or loosening of the connection strength. These mating pins are built to last and much superior to typical softer brass connectors. Believe me, I have battered the Andromeda pins by constantly changing the cable for years and they look and work as good as day one. This is a new cable from Campfire Audio and is made of a Super Litz wire which is a multi-sized stranded SPC Litz wire jacketed in a very nice supple twisted PVC jacket. This is a great physical build actually and a step up on the aesthetics of the original Litz wire that was packaged with the Andromeda and Vega. It comes in a 3.5mm single-ended jack termination with matching beryllium MMCX connectors and a stylish chrome Y-split barrel and rubber cinch. The physical noise levels or ‘microphonics’ is very low indeed, and whilst it does have the odd kin in it when unfolding I would lass it as very tangle resistant. On its own, they sell it for $199, so not a cheap cable. You can order additional 4.4mm and 2.5mm versions for the same price of their website. The Solaris bucks the Comet and Atlas fittings and opts for an over-the-ear only fitting. It is also a very clever design because so little of it touches your ear thus negating any uncomfortable pressure points. The Solaris is able to do that via its thicker nozzle design and tip system which both seals and secures housing via the ear canal rather than the outer ear. There is only a small surface contact point at the base of the Pinna to provide stability to the Solaris when in your ear. The rest is done through the nozzle. It does mean that the Solaris does stick out of your ear a lot more than the smaller designs of the Lyra, Dorado, et al. That does have some benefits though with regard to the cable. The actual design directs the cable out and away from most of your ear so you will not feel the cable pressing on your ear apart from the point where the memory hooks crossover at the very edge. As with the Atlas, the single bore silicone tips are a big no for me. They murder the sound quality by offering next to no seal and turn what is a dynamic immersive sound into something akin to a Ferguson $30 Transistor Radio buried under two pillows. The effect is worse on the Solaris than it was on the Atlas so out they go. 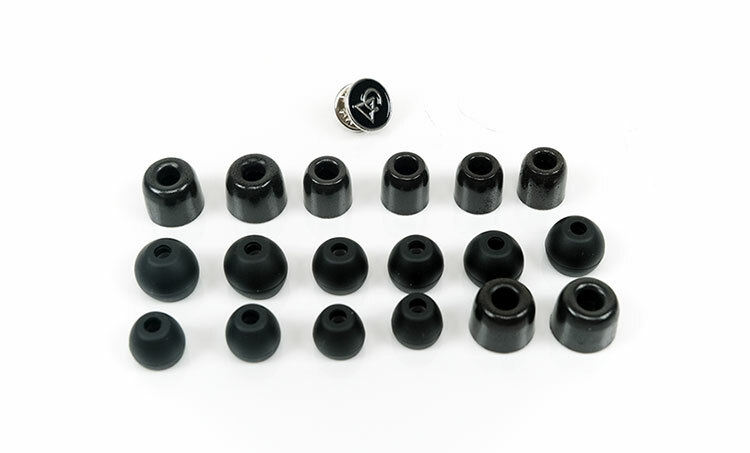 The marshmallow foam tips will give you the best seal and the warmest tone and the heavier bass response. They are thunderously awesome but for those that want a bit more sparkle, the Final Type E types are ideal. I must warn you not to stick the Final Type E tips in too far as they have a tendency to close up in smaller spaces and block the sound. Just a light insertion will do the trick. That shouldn’t stop you from experimenting though and I do recommend you try some Symbio W (wide) tips just for a little variation. Slightly bigger, slightly “pimpier” and an altogether better presentation for the Solaris packaging and accessories. Gone are the cute little boxes and in comes a heftier retail package much to the chagrin of logistics budget manager I bet. Inside you the three bags of tips, a small blue tinged Solaris manual, the standard CA branded broach and a cleaning brush. You also get a fantastic new carry case and what I call “a pair of IEM pants”. The regulation “Huggy Bear” zipper carry case has gotten much bigger than previous versions. It is still the same styling but they have reverted back to the beautiful dark tanned leather of the Andromeda case which was by far my favorite version. The internal “fur” lining remains the same also just you get a lot more space for the monitors, cables, and tips. You can perhaps even add an additional cable if you are into cable rolling. Gone are the little red bags Campfire Audio previously used to protect the housing on their monitors when inside the box. Instead, we now have a variation on the padded mesh pouches they use on the ALO Audio side for their small portable amps. 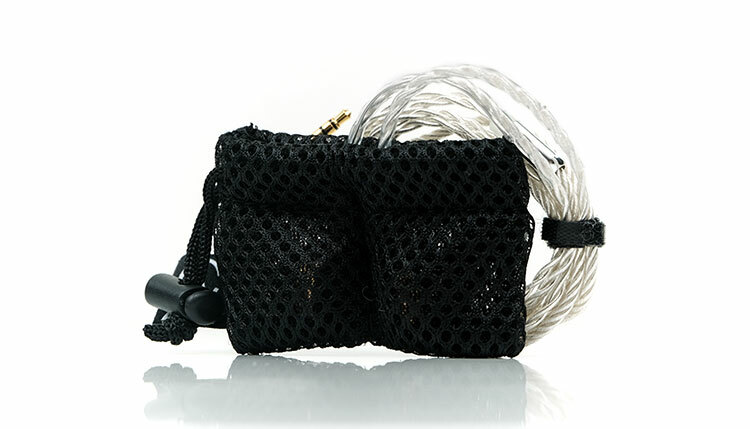 This is a dual pocket black netting, kind of like a bottle carrier from fast food outlets only much smaller and cuter. It is highly reusable actually and should offer plenty of protection for the Solaris’s beautiful plating. Have you listened to the stagediver 5 and how would you rate it against the ca solaris? Nice review. I auditioned the Solaris on a specimen that was not fully burned in, so I’ll go back and give it a run when it has more hours on it, but the main impression I got was the visceral bass. Coming from the Xelento’s and the Andromeda SS, the Solaris bass was visceral, and I literally felt it in my throat. Dynamic indeed. Great review. I just have to ask which portable device (max 500$) would you recommend to pair with Solaris? Fiio Q5, Chord Mojo, iFi xDSD?